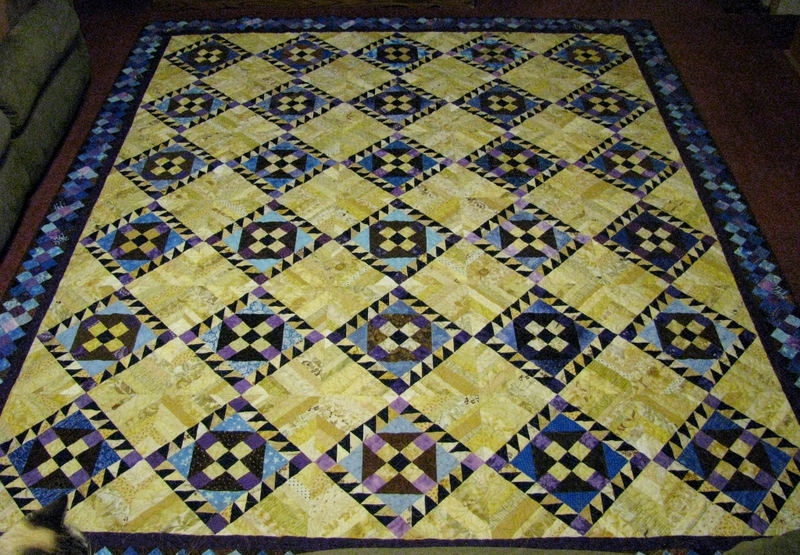 Last night I took the final stitch in the binding and now it is done! Yeah! I placed the short side of the quilt on the length of my bed for this picture. There is about 20″ of quilt hanging down on the back side of the bed. This photo was taken in my living room once all the furniture had been moved. 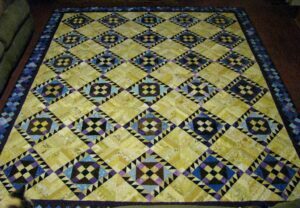 I suspect that it is the lights in the living room that make the string blocks look yellow, but the color in the first picture is closer to the actual quilt. It took me three years to get RRCB finished and I am really pleased with the final result. 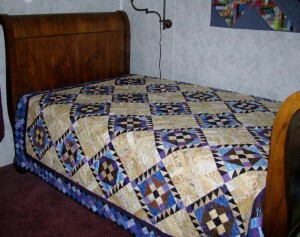 But since I don’t have a queen-sized bed, I think that twin-sized quilts will be as large as I make. When Easy Street comes out to play, I will need to shrink it down a bit.